The thing that attracted me when I bought this dress is the gorgeous mirror floral print, with vivid colors. I think this is the kind of dress you can either style with high heels, like I did with these Stefanel shoes bought last year, or with a pair of Converse sneakers for a more relaxed feel. I like to play with colors, and so I did with this outfit, adding blue shoes and my newest bag, a Rebecca Minkoff yellow MAC bag, that hubby decided to unexpectedly gift me with...oh well, I just provided him with the link to the online shop and I must have left the window open on this yellow beauty ! ;). This gorgeous bag is either a crossbody bag and a clutch, and my mini iPad fits into it easily ! In a word, LOVE !. La cosa che mi ha subito attratta quando ho comprato questo abito è stata la bellissima stampa floreale simmetrica, dai colori molto sgargianti. Credo che questo abito che si possa abbinare sia a scarpe con il tacco alto, come ho fatto io scegliendo queste scarpe Stefanel della passata stagione, o anche con un paio di Converse per un risultato più easy. Mi piace giocare con i colori, e così ho fatto per questo outfit, aggiungendo scarpe blu e la mia nuova borsa, una MAC Rebecca Minkoff di un bel giallo carico, che mio marito ha deciso inaspettatemente di regalarmi...oh, a dire il vero gli ho solo fornito il link dello shop online e devo aver lasciato aperta la finestra proprio su questa bellezza in giallo ! ;) Questa bella borsa è sia una tracolla che una clutch, e il mio iPad mini ci entra senza fatica ! In una parola, AMO !. I love me some bodycon dress, from time to time. They hug your curves easily and are very feminine. These kind of dresses make hubby happy, he prefers them to large or maxi dresses anytime ! But he is a man, and I am a woman and love to change...this means you can find short, midi e long dresses in my closet, pants, shorts and almost any kind of fashion item, just because I like to switch from a style to another ! This blog just makes me more aware of how much I love to change and experiment !. Mi piacciono gli abiti aderenti, ogni tanto. Abbracciano le curve molto piacevolmente e sono super femminili. Questo tipo di abito rende felice mio marito, sicuramente preferisce questo stile ad abiti larghi o informi ! Ma lui è un uomo, io sono una donna e amo cambiare...ciò significa che si possono trovare abiti di ogni foggia e forma nel mio guardaroba, proprio perché amo passare da uno stile all'altro ! Il blog mi rende ancora più consapevole di quanto mi piaccia cambiare e sperimentare !. These cobalt blue shoes were purchased a long time ago, I even showed them to you in a "new in" post. Only after buying them, I noticed they were gifted to many famous bloggers and I somehow lost interest in wearing them, I don't know precisely why. I thought I was so cool for buying them as soon as I saw them in the shop but soon they were everywhere and I got tired by them ! So, here they are, still brand new, and I am giving them a second chance, also since they are so pretty ;). I love to follow trends but I hate it when I think I did an original thing and I find out it's all the opposite. As always, I am torn between two opposite sides of my personality: I follow trends but I wish I was the trendsetter...isn't a bit also what fashion blogging is about ?. Queste scarpe blu cobalto sono un acquisto di diverso tempo addietro, ve le mostrai in un post "new in". Solo dopo averle comprate, ho iniziato a vederle dappertutto, in quanto il brand ha deciso di regalarle a diverse blogger di fama, e ho iniziato a perdere interesse nell'indossarle, non so dirvi di preciso il perché. Credevo di essere stata originale comprandole, avendole viste solo in negozio, ma dopo poco tempo erano ovunque e mi hanno stancata senza neanche averle mai calzate ! Adesso, eccole, ancora nuove, sto dando loro una seconda chance, anche perché sono davvero belle ;). Mi piace seguire le mode ma non mi piace quando credo di aver fatto qualcosa di non "visto e stravisto" e invece non è così. 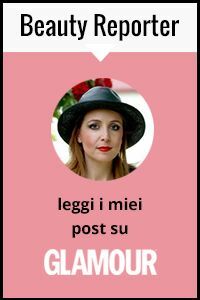 Come sempre, sono combattuta tra due lati opposti del mio modo di essere: seguo le mode ma vorrei essere io a crearle...non è anche un po' ciò che anima il fashion blogging ?. L'abbinamento che hai fatto aggiungendo il giallo e il blu è qualcosa di fenomenale. What a gorgeous dress on you! Lovely. This dress is gorgeous! I love the beautiful print and it looks so great on you! Gorgeous dress if you ask me. Love it! Very beautiful dress. I like the fact that you didn't down play the beauty and color of the dress by wearing a lovely blue pair of shoes and a very lovely mustard purse. Awesome! Your dress is so cool! You look so pretty in it! You made this combination so great! Colours are beautiful! Nooooo ma che bello questo vestito di asos, ha dei colori favolosi, mi sa che oggi mi dedico allo shopping virtuale!!! Anche io devo aspettare fino a quasi meta mese e infatti sto sui gomiti! Le scarpe sono meravigliose. Mi piace molto anche il vestito. i reallly like the bag!!! Questo abito è qualcosa di stupendo! Bellissimo l'abito. Trovo che la scelta di averlo abbinato alle scarpe azzurre e borsa gialla lo esalti ancora di più. Ciao Vale! L'abito è molto, mi piace il fatto che si così aderente, ti sta perfetto! Anche i colori ti donano! :) Bellissima anche la borsa! Buon fine settimana cara, un bacio! Right there with you, still need to wait for my vacay as well! And WOW, what a gorgeous dress! Amazing floral print. Love the combination with the bright blue heels. You look stunning. You look stunning love that dress is amazing!!!! Fabulous dress and bag:) Have a lovely weekend! Ma che bel vestito!!! !Vale stai da dio!!!! Love the dress and those shoes are the most incredible colour! Mi piace molto questo vestito! Bella la fantasia su sfondo nero! Love all of these beautiful colors and the print on that dress is incredible! I know the bag is the big thing in this post, but I'm totally in love with these blue heels! That is one awesome dress! Sei raffinatissima, questo vestito è stupendo, di una lunghezza particolare che ti dona molto. Poi come al solito la tua grazia nell'abbinare gli accessori non si può ignorare. Perfino il rossetto del colore dei fiori stampati, eh qui cala il cappello! And it was a good idea to fetch this super blue shoes out of your closet! Hope it´s not to bad with the heat for you - here in Bavaria it´s still bearable, especially for me because I like it when it´s hot and fortunately I´m able to bear the hear without problems. Enjoy your weekend, dearest Vale♥, hope you will find some time to relax! This dress is amazing and looks so good on you! I love the colours. I am really obsessed with body-con dresses myself, they are so feminine! Asos does amazing ones. wow such an amazing floral dress!!!! Wow, this dress really emphasizes how attractive and thin you are. The shoes are very cute, too. wow this Looks sooo amazing !! gorgeous Dress and the shoes are also perfect! the dress looks absolutely amazing! Hai perfettamente ragione Vale, indossare qualcosa di esclusivo ha un suo perché e vedere la stessa identica cosa su molte persone non è proprio il massimo, anche se rispecchia perfettamente i nostri gusti. L'abitino a fiori che indossi in questo post è un incanto e ti invidio perché io non potrei mai indossarlo così aderente, baci e buon fine settimana, tieni duro il tempo vola.....!! you're so right when it comes to changing things up. I also love trying new things and blogging has definitely changed my views a bit. before blogging I didn't care about clothes too much and dressed quite boring but now I feel like experimenting gives me a lot of positive emotions :) oh and your dress indeed is gorgeous! and I LOVE those super bright shoes. What a stunning, stunning dress! You styled it perfectly; the cobalt and the beautiful yellow brings it all together so wonderfully. I love the floral!! So pretty...especially with the heels and bag! Ciao Vale, stupendo questo abito, mi piace sia per la meravigliosa stampa floreale, (che io adoro sempre e comunque), che per la lunghezza e per come ti fascia alla perfezione..(vas beh ma qui non è merito tanto del vestito quanto di cio "che sta sotto". Bellissime le scarpe...un turchese splendido. Gorgeous dress. It fits you perfectly! stupenda! adoro le tue scarpe! Do you wana follow each other on bloglovin? If you'd like to follow each other please let me know :) i would be so happy. Thanks for the comment, Following you on bloglovin! Hope you will follow back! This dress is so pretty and you look amazing in it. Grazie per il commento Vale... cmq io sono innamorata di questo vestito...sai mica se si trova ancora!? Ciao cara! voglio questo vestito, vado a vedere se lo trovo :D mi piace tantissimo soprattutto come l'hai abbinato con la borsa e le scarpe!! Un bacio Vale e buona giornata! You look super gorgeous! Love the dress, the bag and the shoes! mi piace un sacco *_* stupenda davvero! eh ma che bella sei ? fantastico questo abbinamento di colori cara !!!! le scarpe sono troppo ma troppo belle!!!! un bacione!!! Very interesting blog . Thanks for sharing such useful information here and nice snaps. Hope to see such a informative stuff in future.